The year is 1904, in the heart of Switzerland's capital, Bern. Self-proclaimed genius, detective, and professor, Albert can detect the most minute details in any scenario and come to a rational conclusion. The recent murder of Russian soldiers by a mysterious oriental is no exception. The mysterious oriental, who turns out to be Japanese, proclaims that he is innocent of murder. Why? Because the Russians were already dead to begin with. Follow Albert as he seeks the truth in this mystery that crosses bounds between countries and fantasy. In the mid 1900s, the world began to fall to a brutal nation called Shorugoru, and in 1945, Japan surrendered and became an occupied country. Due to the occupying army, the Japanese people's lives have become a living hell, and they live in constant fear of death. One young red-eyed orphan girl, Sara, lives by doing odd jobs for a brothel that caters to the invaders. When she gets in trouble, she meets a strange creature called Kuro, who protects her from the soldiers. She continues to struggle to survive in this horrific new world. Nagumo Yumi is an idiotic high school girl, whose post-graduation plan is to go to the US and become president. To her high school friends' amazement, she actually manages to make it to the US during summer vacation. After befriending some elderly veterans, she becomes convinced that joining the Marine Corps is the best way to move her dream forward. The waitress Linda Crawford joins her to sign up at the recruitment center, and she also meets friends among the new recruits, Rita Fernandez and Donna King. Will they have what it takes to become a Marine? As Yotaro happily begins his new life, he meets others in Yakumo's life, including Yakumo's ward Konatsu. Konatsu was the daughter of a famous storyteller, and Yakumo took her in after her father's tragic death. Konatsu loved her father's storytelling, and would love to become a performer in her own right--but that path is not available for women. Marine Corps Yumi is completely ridiculous, if you're in the mood for that kind of gag manga. Shôwa Genroku Rakugo Shinjû was probably my favorite, though I was a bit more interested in Konatsu than in the main character guy . And it seems like there are actually female traditional storytellers in current day, though still not a bunch of them. Homura no Me was really violent, and not really the kind of story I was in the mood to read today. It's definitely for people who want a darker story. 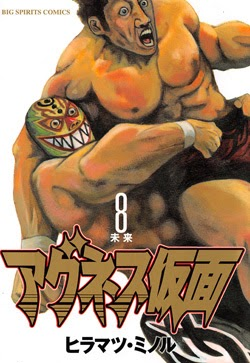 Agunesu Kamen - If you like wrestling or want to read more about wrestling, then you should pick this manga up. 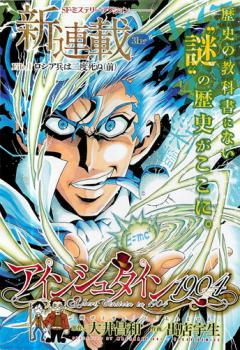 Einstein 1904 - It might be interesting to check out this manga to see Einstein as a sort of detective, and to solve a mystery, no less~ If you like mysteries, then I would suggest checking this manga out. Homura no Me - This manga is a lot darker than the rest of the manga so if you're looking for a more serious manga with some supernatural/fantasy element thrown in, then this manga may be the one for you. 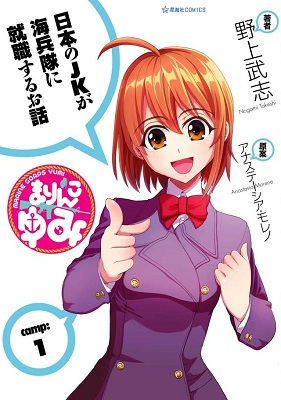 Marinko Yumi - On the other hand, this manga seems a bit too silly, but if you would like to see a high school girl try her hand at being a Marine and are in the mood for slaptstick comedy, then check this one out. 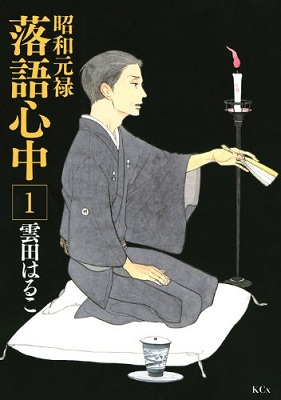 Shouwa Genroku Rakugo Shinjuu - I agree with tethy and this one seems the most interesting to me. I'm interested in seeing how the prisoner gets reformed and becomes a story teller and how Konatsu tries to become a storyteller and possibly forge her way for other women.